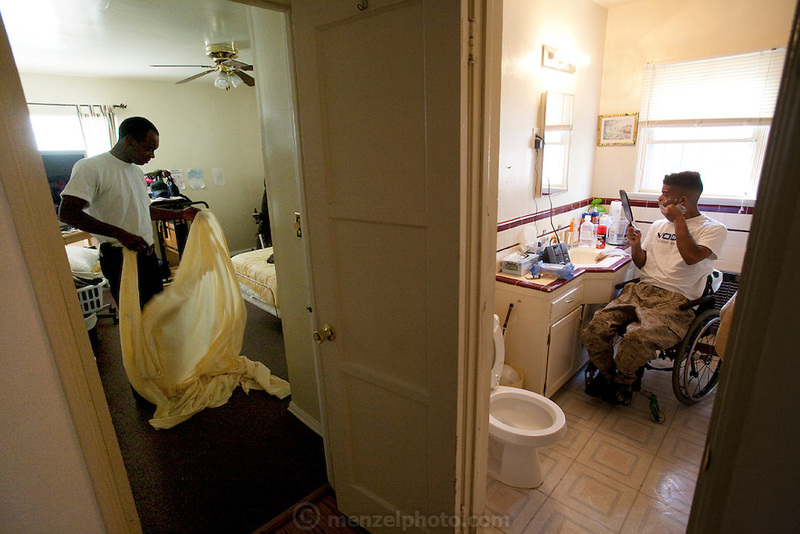 Felipe Adams, a 30-year-old Iraq war veteran who was paralyzed by a sniper's bullet in Baghdad, Iraq, shaves while his father changes his sheets at their home in Inglewood, California. (From the book What I Eat: Around the World in 80 Diets.) Felipe has already spent an hour in the bathroom going through his morning ritual.